It may take a while for me to respond – having become a mummy in September 2010 I am rather hands-full-of-bubbles these days! But I always do my very best to reply to each message, individually, by email – giving you your own space. I recently read your book as research for a project I am doing in RE about anorexia and I thought it was utterly amazing. I have read books in the past about anorexia and they just seemed really clinical and distant in they way they were written but I was struck by how personal your writing is and how much you let us into your thoughts and situation, I think it’s a very brave thing to do. I have what psychologists like to call “an unhealthy relationship with food”, I have never been diagnosed with an eating disorder but I think it’s likely that I do have one, or will develop one. By saying that I dont want you to think that I WANT to have an eating disorder, or that I am trying to mirror having one, I am just trying to keep an open mind. As I write this there is a girl using the computer next to me who is eating crisps and it’s making me feel uncomfortable and rather ill and it’s that kind of thing and also what I think about myself that makes an ED a possibility I think. I would love to talk to you more about your experience and hear your thoughts on my situation, perhaps some of your ideas will be helpful for my RE project? No pressure though, it’s just a thought. I hope you are well and happy and continue to be so. Congrats from one ecolint alumn to another! I am in awe as how you managed to transform these familiar feelings into perfect, flowing, articulate sentences. Your recounting of your experience was raw in its openness and pure honesty. You know where you grew up? I’m growing up here. Ecolint? My life too. I feel like we have a connection…well anybody who has undergone this experience does, but even more so when you lived in the same city and went to the same school. My life is measured in numbers. As is my happiness. I am on the brink of relapsing, I had recently found a way to enjoy food again, and be normal, albeit gaining 5 kg, but now I feel lost, empty and numb. Your book reduced me to tears. You are amazing, and you are so brave. i have just finished reading your book, and i admire your courage. its almost strange for me to say that, as i feel more than ever in the depths of anorexia, and im not all too sure i want, or can recover. I could particularly relate to the struggles anorexia brought you with your boyfriend. I havent been as fortunate, and i have managed to isolate myself from just about everyone i know, ive created a bubble, protected from everyone, dictated by routine and control. Despite this, your book brought a glimmer of hope, that maybe one day things will somehow change, and ill reach out and grab that glimmer. I feel your book will make a difference to many. It would be lovely to hear from you. I have only just finshed your book about 5 mins ago. I can understand some of your emotion although i am not coming from the anorexic side of it but the ghost that is always apon you that wants you to join them again deep down inside the pit of hell , the place that you have been figthing so long. Its really powerful to see that though writing your story it helps others who may not be going or have been where you are but no what it is like to scream stop and just ask someone to help. It is written in a way people can understand. I found out about “Perfect” after reading an article in my mum’s magazine. A few people i know have been affected by this cancer of the soul, and i wanted to read a real persons story of how they coped. I found it. It’s amazing how you’re using your own story to help others. You truly are an inspiration. I’ve just read your book, and have put a post-it note highlighting all the letters in the back – one for my mother to read, one for my father to read. Of course, that means sending the book between countries, but it is so worth it. Thank you for finding a way to write about this that makes people able to understand it, and putting into words what I could never hope to. Unlike you, I battle to articulate any emotions, and always sound as though I’m giving a formal presentation when I do, but this is perfect. What really struck me is your strength and determination, and how I could read it and think “Look, that little fighter in there can win, this god-awful voice in me doesn’t have to control everything!”. I was recently diagnosed with anorexia, after fooling them once and managing to dodge any medical examinations, and escaping the system completely another time through cancelling appointments and such. After three years, I find myself thinking that I’m 17, I have my entire life ahead of me, and this is the proof of what I can accomplish. I can reach out to others, and help them, just as you have done me, and so others. Thank you for being such an inspiration. I am much older than you but am in the midst of ana-thank you for helping me to feel that I’m not alone in the way I feel. I have commented before, but I’ve returned to thank you once again. My mother left my younger sister and I at home for a week while she was out the country, and during that, I abused her trust, and felt awful. I sunk to new lows, and it was particularly painful when I came back and my mother hugged me, and said “I hoped there’d be more to you.” It’s difficult describing to her what this is like, and I’m trying to persuade her to read the book, but she’s finding it far too difficult to cope at the moment with all the stress. So, in light of this, I decided to read it again for myself. I put myself in the shoes of every perspective the letters came from, and felt their pain and support. I photocopied the piece about recovery being difficult, stuck it in a book I take everywhere with me, and if I have difficult getting down my intended meal, I will take it out and read it time and again. Also, reading others messages on here makes it feel as though I’m not alone, and that – I think – is sometimes what we need most. I fear for my sister leaving in the shadow of her older sister’s pains, and it’s now for her I’m doing this. I have just finished reading your book. It was fantastic but almost slightly eary as so much ringed true to me and so much was so so similar to my experiences. I have never, until now, come across somebody who has written a book on the ‘subject’ which I have felt in touch with, where I have felt they understand my head (and perhaps helped me understand my head! ), where I do not feel a freak, where I can feel almost reassured that it is an actual illness and not what many others may think. I have suffered from anorexia for 19 years but I am now proud to say that I am well on the road to recovery having attained a better weight and having a more logic mental process ( infact the two came hand in hand). I have also had many up and downs but hopefully each up brings a stronger person. I do so so so hope that you are still doing well, a smile is firmly present and your eyes are sparkling. I have never met you but I know you are a wonderful person who deserves to be happy and free. Stay happy, enjoy life and keep laughing. I read your book a while ago and it really touched me. I was in a different place to where I am now so I was thinking about the suggestions you put at the back for further reading in relation to healthy eating. My own book has somehow gone missing but would be grateful if you could remind me of one of books you suggested? i just wanted to say i loved your book and i think you are an inspiration for beating this and getting on with your life. you are a beautiful girl and you will go so far 🙂 i wish i had yur will and strength, after suffering for 11 years, i am still entrenched but you have given me some hope. i would love to hear from you, if you can. Having just read your book, I just thought that I would thank you for writing such an inspirational, positive and lucid account of recovering from anorexia. Over the last year I have been in an inpatient unit undergoing ‘intensive re-feeding’ treatment, recently being discharged. One of the main issues I have struggled with through the process is feeling separate and different from other people, like I am intrinsically broken or flawed. However, reading your book, and also recently becoming a Beat young ambassador, (Beat being the national charity for eating disorders), I have come to realise how similar many other people’s experiences and feelings have been to my own, with your own perspective being particularly resonant. Thank you for helping to clarify the myths and misconceptions which surround eating disorders, and I will be sure to pass on the details of your book to other young people I know who are currently in recovery. If you ever feel that you would like to, I’m absolutely sure that Beat would be more than happy to work with you in helping people to recover, as well as prevent eating disorders. Thank you for your book and for your page. I am in the midst of struggling with anorexia. I have been for the past few years, but things really are at a head right now. I have just discovered your book and am in the middle of reading it. It really is like reading my life. I would really appreciate it if you could give the details of anyone I could get in touch with who helped you or who you could recommend to help me out of this hole. I really need to get my head round this problem. Thank you and the very warmest of congratulations on your wedding. it seems you were that hand. i hope i can now try hard again, because it is not a life. sadly no one hears me and i am still waiting for a referal, so i have made the first step. i hope i can hold on a little further. Hertfordshire, do you know it?. its such a long story of me trying to get help, its been 2 years… and not just for the anorexia, people just dont seem to believe me. i have been reaching out. The one thing about your book that helped was i wasnt triggered by it at all it was just so helpful. i reserved your book and got it sent to my local library. i needed some time out today, so headed into town to the M and S cafe with the book. just before i left i placed the book in th top of my bag face up, the woman next to me watched me place the book there and obviously caught sight of the title. she looked at the book, then at me with kind but sad almost pitying eyes. As if to say ” Try and eat a little, you’re not going to find a solution in paper” but not in a judgemental way. i have’t finished it yet (probably by tonight or tomorrow) but it really is like reading about myself, as i’m sure many others have found too. Thank you so much for Perfect. Your words struck a chord with just about every part of me, it was like looking in a mirror in so many ways. I am in recovery from anorexia and whilst I am determined that this time- as oppossed to every other attempt over the past few years- it will really be it I am still so scared and unsure. Now that I am out of that immediate danger zone which seems to so spur me on to take action I feel myself once again wanting to take my foot off the accelorator if you know what I mean? It’s sick but it’s like as much as I want a life without anorexia part of me just won’t let go. Please if you could offer any words of advice on how you coped when recovery seemed like too much of a big step I would be so grateful. Thanks so much for your book – reading it as a mum was so enlightening and helpful in gaining an understanding into how a person with this disease thinks and views the world, therefore guiding me hopefully to giving positive support. A brilliant idea to ask your family and friends to give their side of the story – this gives such a good all round picture. I have just finished reading ‘Perfect’ and felt it to be such an inspiring and moving account of your struggles and triumphs. And so beautifully written! Thank you so much for sharing your story, I’m sure it will be a great help to many, those searching to better understand the disease and those seeking comfort. I would be very interested to talk more with you via email if this is a possibility? I have just finished reading “Perfect” (it took me 2 days – couldn’t put it down). I suffered from anorexia from the ages of 11 to 14. I relapsed at the age of 28. I am now 38, and although to look at me today you would never say I once suffered from anorexia, it has never left me. I still have such an unhealthy relationship with food (which I still see it as The Enemy). My metabolism seems to have been permanently damaged after years of starving myself and I have a constant battle with my weight, even though I do not eat more than “normal people”. Your book has inspired me to get expert help, as you did – to consult with Nutritionists and specialist doctors and to try and develop healthy eating habits and undo some of the damage I have done to my body over the years. I also just wanted to tell you how lucky you are – to have had such loving and supportive people around you who were unjudgemental and were able to separate “Cruella” from the girl they loved. In particular, your parents, and “your Sam”. When I got anorexia in 1981, it was still a very “new” disease and very little was known about it. My parents (normally so loving) reacted with anger (which actually stemmed from ignorance and fear) and threatened to put me into Tara (an institution for people with mental disorders) if I didn’t “pull myself together”. I had to “get better” all by myself, with no expert intervention. I have never actually “got better” – just put on the weight that everyone wanted me to. My mind is still that of an anorexic. Reading your book has made me realise I don’t have to do it all by myself – there is help out there, and I intend to finally get some! Thank you for a wonderfully inspiring book! It was such a relief and joy to read your amazing book. Once i started reading it it was so like what we have been living through for the last three years. My daughter who is 16 is now in the most incredible inpatient unit and is battling cruella with all her will and is so desperate to beat it for good. She, like you were ,is encouraged and supported by all her family she knows she is loved and has so many hopes and dreams. Iread your book this weekend and have now sent it to her to read and told her to pass it around for all to read . One thing i have found is the isolation and lack of understanding this dreadfull illness causes. You have given me hope and I will keep believing we will get our beautifull , loving daugter back soon. I’m reading your book and I still didnt finish it. It is one of the best books I have ever read. very honest and true. When you were 40 kg how tall were you? cause I dont know if I am considered as anorexic or not. Thank you very much for the great book, it is helping me alot. I started reading your book yesterday and am already half way through. I can’t put it down. I started my fight against this disease at the beginning of the year and I can’t describe how much it has helped to read your words and realise that I am not alone in feeling those feelings. It has given me a huge amount of hope that I too can recover and learn to live again. I will definitely pass this on to my mum to read, so that she can understand what is going on inside my head better. As you are far better at explaining it than I could ever hope to be. It has also given me the courage to talk about more personal feelings with her that I have tried to hide before. Thank you so much for writing this book. Emily, I have just finished reading Perfect. What can I say? I have been utterly moved by your story. As everyone else has been saying, the book has been beautifully written and has actually made me understand my own Anorexia a little better! Your book has inspired me to continue with my recovery and motivates me when I’m having my ‘off’ days. Perfect reminds me that I am not the only one going through this crappy disease. My mother has agreed to begin reading your book tonight. I really think it will help her in the understanding of Anorexia Nervosa (she hasn’t been the most supportive mother to say the least). ive just finished reading your book, i havent been able to put it down since buying it yesterday, from opening it and reading the first page i was able to relate to it so much, for so long now ive been thinking all these thoughts and feelings i have are so wrong, but to hear someone else say what im thinking makes me believe that maybe my thoughts aren’t so wrong after all. i’m trying to recover but at the moment have more days when i dont have the motivation or energy to fight this and so believe i wont be able to. By reading your story i cant believe how strong you are, there is so much i would like to ask you, if you have a private email and wouldnt mind talking to me i would be so grateful. thank you for your time and for your story. It is 5am and I have just finished your book. Words just cannot describe how grateful I am to you for sharing your journey, and for putting so eloquently the exact feelings, emotions and compulsions I am struggling to describe and acknowledge. Thank you so much, your words have filled me with a renewed inspiration, a determination to get better, a reassurance that I am not alone in my doubts regarding the effectiveness of the sole emphasis that medical teams put on simply gaining weight. Reaching a healthy weight, without addressing the emotions behind this disorder, has only served to fill me with an almost unbearable amount of stress and confusion. You have renewed my faith in working through therapy to try and overcome this disordered way of thinking, and starting tomorrow that is exactly what I am going to do. Thank you so much, your book has given me the courage I need to take that first step again. Hi Emily – we’d love to receive a review copy of your book. Is this possible? I fianlly found the courage to finish reading your book earlier, it has changed my mind so much. I’m currently attempting recovery for the 2nd time (on my own as my DR refuses to help me get professional help) and have struggled a lot. The way you describe ana is so honest and hits the right spot, its made me realise i’m not alone and she cannot win. I’ve recommended the book to my close family and friends who struggle to keep things as normal as possible when they are around me. Now I need to do my best to fight her. Before i lose the people I love. I have recently come out of hospital after a very “dark time” and am desperately holding “on to the ankles” of recovery for dear life but finding myself a bit stationary “face-first” in the dirt! I haven’t even read your book yet and already feel touched by it! I am eagerly awaiting it’s arrival having ordered it a few days ago and judging by the previous comments, it’s worth the wait! I read an earlier thread that mentioned a separate email for some advice etc and was wondering if that was still going? I’d so appreciate any words that could help me come up for air, feeling a little bit strangled here. I have just devoured your book in a few hours – so many words rang true for me as I read that I had to finish it all in one go. I don’t know how my own journey will pan out, but it is always encouraging to know that other people have been on this road (or, at least one that looks very similar) and have come out the other end. I have just finished reading “Perfect”. I found it a very well-written and reflective account of your experience with anorexia. As a person who has suffered from the disease and therefore appreciates how hard it is to come to terms with it, I admired the way in which you faced the illness head on and seemed to make efforts at every stage to overcome it. Probably one of the most interesting parts of the book was the last chapter in which your friends and family share their own experience of living with the disease. Olivia’s account in particular was raw and heart-renting. I truly hope your friendship can be fully rebuilt- she obviously cared a lot about you, but felt utterly trapped by it. I remember meeting an old friend who had been fairly close to me during my illness, in a pub a few years after I had recovered from anorexia and hearing the way in which it had indirectly affected her through me. I was surprised to find the extent to which my illness had impacted her –how it left her utterly helpless and afraid that my life was in her hands. The disease had alienated me to a degree where I was unable to view its impact on those who were not immediately close to me. Another concept that intrigued me in the book was the personification of the disease, “Cruella” – this seemed to function as a way of objectifying the disease and therefore separating it from you as an important discerning step in fighting the disease. I wondered how you accounted for “Cruella” when you interacted with others, especially those who may not understand the illness. Did you feel responsible for her actions and how did you separate these from your own? Finally the description of your family life was an eye-opener – as I read the opening chapters, I thought “This is exactly the type of life I would want to create for my children”, but your account showed that even in the most idyllic of families anorexia can still emerge and for me personally this corrected my view that if I just made everything excessively secure and protected, I can avoid my children developing the disease. I read you book last summer when I first tried to help myself get ‘better’. Now, nearly a year later, I am finally turning the corner and eating for me. I struggle with the thought that I won’t be able to stop – when is eating going to become too much? I know I can’t stop yet – or possibly for a long time. This is the hardest thing so far, trying to be normal and wanting it more than anything else, to have everyone else react normally to me and food and eating again. Mostly I just want to know when things start to go back to normal! I’d LOVE to wake up one day and have my arms and legs back instead of the emaciated, sticks that I see every day. Thank you for your story, it has motivated and inspired me to be ‘me’ again. I found this book in my school library and decided to read it. A good friend’s older sister was recently diagnosed with anorexia and for the first few months her condition improved dramatically. Then she platoed at a level just below a healthy standard of vitamins, blood-sugar and weight. Like you, she has a parent who is a doctor, except for her it is her mum. Everyone close to the family and her are being seriously affected by her anorexia. Some people started to complain that it was ridiculous that she could not get much better. Your book really helped me to understand some of the emotions that her and her family might be experiencing, and the best ways in which to offer my support. Your book was amazingly written and an inspiring story. I hope you lead a happy life and continue to be succesful in your, what i know must be very difficult, battle against your disease. It takes me a lot to express what I feel, but I think I’ve done it – I’m still going through recovery, but I’ve reached the point where I know that I can do it. Finally. I’ve written it down – every step of my journey, and before. Could you please ask me how I could get this published? From experience I know there are FAR too many people who still misunderstand this terrible condition, and want to get the word out as much as I can. I purchased your book today and I’m currently about three-quarters of my way through it. I just wanted to thank you for sharing your experiences with this and I commend you on the courage you have shown throughout this illness. how blessed i feel to have come across your book at the time i needed it the most. there are so many things in the book that i can relate to, especially your letters to natasha. I have used the book to read parts out to my husband so that he can try to understand how i am feeling. I start my counselling tomorrow. Your book has given me courage and inspiration. wishing you all the best of luck for the future emily. I have just finished reading your story, although like many sufferers who have read ‘Perfect’ i feel it could be ‘our’ story. I say that in the sense that when you read your story, you become so connected with it, you are all too familiar with the same distorted thoughts and feelings, both positive and negative. I saw a little bit of myself not so much in you, but in your suffering. What you wrote was done so in such a professional, emotive and informative way – like you had a tape recorder permanently running in your mind throughout your struggles. Your book was not triggering in any way, and i think that what helped was that you didn’t talk about your height/weight (except on one occasion) becuase we all know how ‘competitive’ eating disorders make us become. What also made this book so positive was your constant desire to move forward. That i think is my biggest struggle in recovery, i feel the need to be worse before i am ‘allowed’ to get better if thast makes sense??? I read your book earlier this year and its the only one I have come across that describes this illness so accurately and elegantly – thankyou. I am currently at rock bottom having had this problem for 18 years; I came out of hospital a few months ago but am heading back there again. A few things you have said really resound with me and I jave a few questions I would like to ask you about if you could email me. By the way, congratulations on your engagement!!! I have not read your book yet, because it’s not available at my library ): I suffer from anorexia and bulimia, although not diagnosed by a doctor, my family and i both know i have a serious problem. I was wondering, how did you decide you wanted to get better? For me, i hate it at times, but i still keep this up, i don’t want to stop..i don’t want to go back you know? Also, about your thoughts on pro-ana if you have heard about it? I can’t seem to find someone to talk to, i thought you would be worth it(: I was just wondering about your thoughts, and if you ever miss this obsession… Hearing from someone who someone who i can honestly relate to will help a great deal. Thankyou, best wishes! Having borrowed your book from the library, I will now buy a copy to have close by me. So much of what you wrote resonated with my life experiences. I was anorexic as a young woman and I have been bulimic for 25 years. I had a year of therapy, which finished 6 months ago- and now I seem to be stuck again (not for want of trying). I hate living like this. I feel desperate and can’t believe I will ever get out of it. I will reread your book to feel a little less lonely. And try again.But I just can’t face putting on any weight. Thank you for sharing your story- I can’t say how much it means to me. the reason why i picked up this book was because of its cover it got my attention, but also i had to write a paper on a health issue i wanted to know more about and that subject is: anorexia for sure. All i can say is that i loved your book its written i a very good way. i like it that this book didn’t make me bored and for the first time i wasn’t even worried about doing an essay. i had a lot to say about this book. i also have a question. are you going to write more books? hey emily, I’ve gotten your book and have read it. Somehow I can relate my experience with this thing as I was once diagnosed with this disorder 5 years ago and now, its affecting my younger sister. I teared up after reading your book as it makes me reflect whatever bad and hurtful damages I’ve made to myself that not only affected me but my loved ones. Now, my lovedones and me are going through another cycle of this emotional ride as we’re fighting hard and encouraging my younger sister to overcome this disorder. It’s going to be tough but I know we can do it. It’s possible, even if it takes years and many times of being hospitalised. Eventhough I believe that I’m out of this mess, I do have relapse here and there. It’s been a long journey, full of ups and downs but it’s been worthwhile. Thanks for the awesome story of yours. It has helped me and I believe it is going to keep on helping me to stay away and break-free from this disorder. At the same time, it’s going to help people, specially girls that is possible to overcome this disorder. I have read your book and found it a real inspiration to write of my own struggles with anorexia. i have started writing a book but was wondering if you could offer me any advice about getting your book published? Thank you for writing such an inspirational book that has touched my own life, as well as many others i am sure. I am reading your book now and i am honest when i tell you i dont understand this illness. My daughter is 31 and has this illness since she was 15. It is terrible to see my daughter die in front of my eyes due to hunger. Emily, I’ve just read your article in Company magazine and it’s the first eating disorder article I’ve ever felt the need to write to the author about. I’ve been suffering with anorexia nervosa and bulimia nervosa for the past 2 years and like you I’ve only ever been forced to eat rather than seek a reason behind becoming ill. Reading your article made me realise that this is not my fault. I became ill at 14 (I’m now almost 20), first I started by exercising obsessively, I’d be the girl who stood up rather than sit down in the need to burn more calories. Then after dropping 2 stone from that I was no longer able to loose weight and so I started counting calories before reducing them and then not eating at all. My mum took me to a doctor and I was forced to eat regimently 5 times a day whilst people watched me, I soon learnt that after I’d eaten people would let me have space which led to bulimia starting. I absolutely no way, shape or form did this forceful eating help me, if anything it made me worse. No one has asked me why and to be honest I don’t know why, like other girls I was slightly bullied at school but I had lots of friends. Anyway I’ll stop with my life story, thank you for giving me someone to relate to and for helping me realise that this is not my fault and that I really do need help. Thank you also for making more people aware of eating disorders in young women and speaking out. I hope I can be as strong as you, congratulations for pulling through, you really are an inspiration. I’m a contributing editor for Glamour magazine. I love your writing, and I’m working on an essay package that I’d love to speak with you about. Could you please get back to me at your earliest convenience? First of all I would just like to say thank you so much. My friend encouraged me to read this novel, little did I know she was trying to tell me something. For the last four years I have become an exercise addict, punishing myself if I didn’t workout at least once a day. I refused desserts, chocolate and crisps andything with a moderate fat intake, even refusing to eat the strawberries at Wimbledon because they served them with cream. I didn’t realise what I was doing to myself until I read your book and then I could see that my own behaviour was reflecting what you recorded in your own story. Without the book I don’t think I would have realised what i was experiencing until it was too late. Thank you so much, your story is truly inspiring and has helped me seek the help I needed before the illness took over my life. I borrowed your book from the library and read it in one afternoon, i couldn’t stop. I found myself in your story, over and over again. I know others have already done so, but i needed to say thank you. I have found comfort, hope and motivation in your writing. Sincerely. It has been 7 long, dark and empty years for me – with no end in sight, yet. Reading about your process of recovery, made it clear that others have fallen down many times before they finally move forwards, so i wont give up. Most importantly, whilst i was reading your book, i didn’t feel alone. I read your book last year and found it a comfort when nothing else was. As others have said here, the most important thing you give people is hope, which is a great thing and a blessing, so thank you. I was wondering if you had an email address I could contact you through? I’m struggling to get better and would very much appreciate your advice. I got your book into my hands by coincident when searching for information for my assignment as a Nutritionist ..still a student. However, I fnished the book within a couple of days. You seem to be a very strong person, stay the way you are and I wish you all the best in your future…with Sam. Your book really touched me, both as a best friend who watched her friend starve and as a girl who has begun to cut back on calories to the extent that I, too, do not see food as nourishment but as calories and grams of fat, sugar and carbs. It both explains the inexplicable when my friend was ill – how focused she was on the exercise and food, to the exclusion of everything else, how she could push everyone away and invite them in and not seem to realise how terribly confusing it was, and most importantly, that her illness was twisting her and that some of the seemingly cruel things she did were not anything to do with what she wanted, but all down to her own Cruella. Your story reinforces what I know, deep down, is true – this is not a disease to invite in. One kilo easily becomes five, ten… and this is an illness which can take everything away. I am managing my own dual desires of being healthy and being thin but I must admit, although I feel my problem is not serious enough to be classed anorexia or bulimia, it is affecting me badly and after a year or so of this constant guilt about what I eat and how much exercise I do I have lost sight of what a ‘normal’ person eats and how a ‘normal’ person feels about food. I know I think about calories far too much and I should not want to drop any more weight but I do and that in itself scares me, because I know all too well what the consequences are. I’m… just confused, torn, feeling like there is not enough of a problem to report but at the same time this issue is more embedded than I like to admit. It can go away, can’t it? Your book is amazing, thank you so much for sharing your story and thoughts. 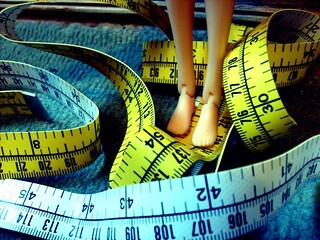 I don’t suffer from an eating disorder but I am a perfectionist, to the detriment of my life and happiness I think. Not much is ever good enough and I put far too much pressure on myself. I feel like my problems are nothing in everyone elses eyes, although they are so much to me. Your book made me seriously consider getting proper help… Even though my problems might not be as severe as other people’s, your book showed me that I need to learn to respect myself; that my problems *do* matter. I am about three quarters of the way through your book, and you really are an inspiration. I find some comfort in the fact that I am not alone with the mental battles that I find myself faced with around food and eating. I do not have a typical fear of being fat and I don’t see myself as fat, but because I don’t fit into the usual ‘box’ with anorexia, everyone is a little bemused at how to deal with it. Your book is giving me the courage to fight my evil voice, as somedays I am just so scared i will lose control and it will take over. But the battle is exhausting and I ilive for the day when i can hopefully just eat out and relax without going into a cold sweat! Thank you for an excellent book, so honest and open. I hope things are going well for you. Emily. I read your book as my best friend (olivia, ironically) gave it me to help me. I have experienced Dr Ds like you endlessly. one basically told me to go away and next time i come back i should eat a yoghurt a day. i was like, well, obviously i know that. she then tried to tell me that all my beliefs in brown rice brown pasta etc was wrong. it was a nightmare. do you have details or can you respond personally please of where i may contact louise your consellor? or even let me know if this is not possible. I have just finished reading your book “Perfect” which I found both brilliant, accurate and very moving. My daughter is 16 and has been struggling with anorexia for the past year and like a desperate mother there is nothing I wouldnt do to give her her life back! She like yourself was a very easy, happy, fun-loving girl before this illness overcame her. We have struggled to find a therapist and indeed a nutritionalist that she has bonded with or indeed really likes and as we live fairly near to London I wondered it there might be a possibility that you could give me the contact details of Louise and Vicki if they are still in practice? I thankyou in advance for your help, we would be so gratefull. You must be so proud of your book and even more of yourself! I hope life is still treating you kindly. this book in part has worked for me and in aprt not and now i have fully hit recovery when i realised my gran and friends were gasping at my appearance after coming back from uni and not having seen m ein so long. at 4 stone 10 im pretty different looking in the least! i need a nutiritonist asap at the moment as i have no idea if what i am eating is right to get normal looking again with nutirients but i know i am exactly like you in healthfoods wholefoods way and that is the awy i need to go about things. is vicki still working? i would love to know her details if it was AT ALL possible as she seems like one person i can get on board with. over the past year i have seen so many who have no idea and who were all like you dr d and made me do horrible thigns or treat me like an idiot with food thigns. she seems like she could be someone to finally help me. i have to have a liver biopsy on thursday and need to get sorted asap/ at the moment im just eating what i think i should and from how you did a bit in ur book and from how i use to etc all pooled into one but i have no idea if its correcct, the sooner i see someone to hlep me the less chance of relaspe or making a mistake..
As a sufferer of anorexia, your book has helped me where no-one else has been able to. The knowledge that another person has had nigh on exactly the same experience as me; has felt, thought, said and done exactly the same things at certain points; has been one of the biggest driving forces behind my at-home recovery – thanks to you, I am no longer alone. I can never thank you enough. I just finished reading your book: I found it fascinating. Like many others I just couldn’t put it down, and had to google you the minute I finished it. There are so many things about the book I loved, especially the idea of Cruella, and how it’s not so much about being thin as it’s about being perfect. Your book made me realise how easy it is to fall into that dangerous, obsessive pattern of thought, how there’s a fine line between what we think of as innocuous behaviours (calorie-counting, dieting, restriction of certain foods, pre-occupation with weight and appearance), and actually having an eating disorder where things spiral out of control. The part I found the most fascinating was the last chapter, where you asked your family and friends to give their (shockingly honest! )perspective, I thought that was absolutely brilliant. So, thank you for one of the best reads I’ve had in a while. For me, at this point in my life, it was perfect. Is your book a novel? Is the book Perfect by Emily Halbal a novel? Dear Emily i read your book after a friend of mine finished it. She told me how it had helped her and said she hoped i would find the same help from it, and i did. While i am by no means recovered i am an amazingly different person to who i was a few years ago. I am now using my experience to write me dissertation and finally finish university and would love to be able to email you and see what your views are on my topic. My paper is on the fashion industry and the skinny models they use and if they really do influence the ways we eat and see ourselves. Similarly if anybody who reads this post would like to contact me they can do on samgilbert@live.com I want this paper to highlight the complexity of the illness and try and get rid of the image that we diet to simply be skinny as it is so much more than that. My name is Amy, I am 16 years old and have been struggling with anorexia for the last year. I was doing well and gaining weight at quite a rapid speed but then over christmas last year I suffered a relapse and the weight has been very up and down and I am feeling in such a rut. I don’t see any way out of this and often feel like it will never end and this is the way my life will be forever. My mum and I found your book and we have been reading it together. It means so much to read someone’s story who really understands how it feels. My mum has been amazing and is trying so hard to help me but even so I just really want to talk to someone who has experienced it. Does it really get any easier? and how did you cope with the changes in the menu plans, I get so panicky and just can’t deal with any changes. My menu plan is the same everyday so introducing anything is so big and I just get all these thoughts that I am just going to get bigger and bigger and never stop eating. I would really appreciate any advise that you would be able to offer, I really do want to get over this but sometimes it is just so hard. I really would love to hear from you and thank you so much for sharing your experience and hearing that you are now married and have a little girl is really inspirational. Hi Emily, I purchased “Perfect” at a second hand book shoppe in Cape Town South Africa; my home. Ive only just embarked on the first two chapters and I’m hooked! You’ve really succeeded in clarifying all the experiences shared (so far) as well as the statements you’ve made. I can hardly wait to finish up at work so I can get back to reading. While I really like this post, I believe there was an spelling error shut to the end of the 3rd section. Im getting a tiny problem. I cant get my reader to pickup your feed, Im using msn reader by the way. I Am Going To have to come back again when my course load lets up – nevertheless I am taking your Rss feed so i could read your internet site offline. Cheers. Have you given any thought at all with converting your site in to German? I know a several of translaters here which would certainly help you do it for no cost if you wanna get in touch with me. Could you email me with any hints & tips on how you made your website look like this, I would be thankful! I tried viewing your site in my new iphone 4 and the structure doesnt seem to be correct. Might wanna check it out on WAP as well as it seems most cellular phone layouts are not really working with your website. Do you might have a spam concern on this website; I also am a blogger, and I was questioning your scenario; weve created some great strategies and were searching to exchange options with other people, be sure to shoot me an e-mail if interested. This blog has lots of very helpful information on it! Thank you for informing me. Although I truly like this post, I believe there was an punctuational error near towards the finish with the 3rd sentence. Have you given any kind of consideration at all with translating your webpage into Chinese? I know a small number of translaters right here that will would certainly help you do it for no cost if you want to get in touch with me. How do you make this site look this cool! Email me if you want and share your wisdom. Id appreciate it. I was basically wanting to know if you ever considered modifying the design of your site? Its well written; I really like what youve got to say. But maybe you could add a little more in the way of content so people might connect with it better. Youve got an awful lot of text for only having one or two pictures. Maybe you could space it out better? This is often a fantastic website, could you be interested in making time for an interview regarding just how you developed it? If so e-mail me personally! Can you email me with some hints on how you made this website look this good, Id be appreciative. Have you given any thought at all with translating your current web site into French? I know a couple of of translaters right here that will would certainly help you do it for no cost if you wanna make contact with me. The look for the site is a tad off in Epiphany. Nevertheless I like your site. I may need to install a normal browser just to enjoy it. The structure for your weblog is a little bit off in Epiphany. Nevertheless I like your web site. I may need to install a normal web browser just to enjoy it. I have got one idea for your web site. It appears like right now there are a handful of cascading stylesheet issues while opening a number of webpages in google chrome as well as internet explorer. It is functioning okay in internet explorer. Probably you can double check that. I Will have to return again when my course load lets up – nonetheless I am taking your Feed so i can read your blog offline. Cheers. Have you given any kind of consideration at all with converting your webpage in to French? I know a couple of translaters right here which would certainly help you do it for free if you want to contact me personally. Do you have a spam concern on this site; I also am a blogger, and I was asking yourself your situation; we have created some nice techniques and were searching to swap solutions with other individuals, be positive to shoot me an e-mail if planning to pursue. I tried viewing your site on my iphone and the format does not seem to be correct. Might want to check it out on WAP as well as it seems most cellphone layouts are not working with your web site. Whenever I originally commented I clicked on the Notify me any time new comments are added checkbox and currently each and every time a remark is added I receive four messages with the exact same comment. Jesus Christ theres plenty of spammy feedback on this site. Have you actually thought about trying to remove them or putting in a tool? I adore this blog site layout ! How was it made? Its very cool. Heya, I just hopped over to your website through StumbleUpon. Not somthing I would normally read, but I liked your views none the less. Thank you for making some thing well worth reading. Just to let you know your web page looks a little bit unusual in Safari on my computer with Linux . Do you might have a spam concern on this internet site; I also am a blogger, and I was questioning your situation; we have made some nice methods and were looking to swap solutions with other people, be positive to shoot me an e-mail if planning to pursue. This is often a excellent web site, would you be interested in doing an interview regarding just how you developed it? If so e-mail me personally! Even though I truly like this post, I think there was an punctuational error near to the end from the third paragraph. How come you do not have your web site viewable in mobile format? Can not view anything in my phone. Im having a teeny issue. I cant get my reader to pick-up your feed, Im using aol reader by the way. Like everyone else I would like to say thank you so much for your wonderful book. I am 16 and have been struggling with eating problems for more than 2 years and finally having my boarding place was removed and i told by a doctor I had anorexia. But it was only reading your book that made me realize that I had anorexia. I realized how alike my thinking was to yours and after years of denial I understood that something was wrong. It’s such a relief to know that there is a reason for everything. I am lucky because I’m not that bad so I don’t have to be an impatient. my family is so loving and supportive which is helpful too. Although its harder than it seems I think I’m on a road to recovery. Thank you so much for your book it was a true inspiration! Emily, I’ve read your book and it was really beautiful. I had a friend who went through a similar process and showed her the book. It really struck a chord! dear emily, I’ve just read you book “Perfect” and I’m glad you are better. I am in the throws of anorexia and have been since 1996. I am 71years old and live on my own which makes my own Cruella to live within my head all the time. I have been hospitalized way back which actually made me worse but I had to stay there as I was on Section 3 of the Mental Health Act.I was actually already in a psychiatric hospital for other mental reasons and I was there for eight years before. My eating disorder started 2 years into my stay there but wasn’t diagnosed until 2002. My hate for myself is so extreme I don’t feel I can get out of it, even if I wanted to. I see a dietician, who I have a constant battle with although she is actually quite understanding and I also a phsychiatrist who seems to be more interested in my depression and phsychotic thoughts and audio/hallicinations which in themselves have so much to do with my anorexic feelings. I also see a CPN but although she has said she will keep an eye open on my looks but she only started with me six months ago so saw me bad in the first place. How I hate myself. I so admire you and all the authors of anorexia books which have “devowered” Good luck to you for the future with Sam and I hope Cruella doesn’t she herself again. Lots of love Jean in Delabole cornwall. @Jean Haywood, hang in there Jean, you can get better. Emily, thank you for your book. It has helped me a lot. I am ecstatic to hear that you are a Mum! Thank you for writing such a comprehensive book. I’m wondering how you aregetting on now. ..i have two daughters of my own and have lived with anorexia for about. …14 years? Such a horrendous and debilitating illness. Your honesty in the book is moving and very poignant. Thank you. Thank you for writing such a comprehensive book. I’m wondering how you are getting on now. ..i have two daughters of my own and have lived with anorexia for about. …14 years? Such a horrendous and debilitating illness. Your honesty in the book is moving and very poignant. Thank you. I am always keen and ready to learn something or to aware of certain behaviours that we people tend to take for granted. First of all I want to say to you thank you, for your honesty, your portrayal of an illness from the most ‘real’ perspective I have ever read, and for your beautiful honesty throughout this wonderful piece of writing you have put together and shared with people. I have not read anything so articulate and elegant and so closely relatable to my own story through my personal experience with this illness and the rollercoaster it can take a person on. I believe for the most part that love, honesty, and sheer bloody determination to survive is what it takes to beat an illness that is silences our voices, our personalities and our takes away the the light from it’s sufferers. I am only just starting to learn how to use my voice again, and really work through the dee rooted origins of this illness for myself and your book struck a chord with me. Your words and description of a seemingly normal and safe childhood are so close to home for me, Andy the notion of having not suffered a significant trauma or going through a traumatic experience to have sparked the beginning of a battle with anorexia is so very similar to my own story- of which I am beginning to explore and uncover after coming through the longest and darkest part of my longstanding tousle with anorexia. I have recently given your book to my own mother and a very close friend of mine, because the story you tell I believe will give light to some of the similarities of my own story and help for them to understand some of the more difficult aspects of this illness. I thank you for being so open and honest with your book and giving so much of yourself and your story to those who read this brilliant book.